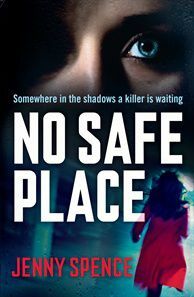 NO SAFE PLACE begins with middle-aged technical writer Elly Cartwright arriving at her Melbourne home one night to be greeted by an elderly neighbour with some message or other but before Mabel can get a full sentence out she collapses. Mabel, it seems has been shot and Elly is injured too. The next day she discovers that one of the software programmers she has worked closely with has also been killed and she starts to believe the deaths have something to do with her. With the help of her colleagues and some friends Elly quickly adapts to a life of ever-changing disguises while she tries to work out who’s got it in for her. Thrillers in which an average Joe (or in this case Josephine) becomes embroiled in criminal intrigue are difficult to pull of with any sense of credibility (I’ve lost count of the number I’ve thrown at the wall) but in her début offering Jenny Spence does a decent job of it, mainly through using a nicely grounded character to propel the novel forward. While she does seem a remarkably quick thinker, in most respects Elly is perfectly normal. Being a mum she is worried that her troubles will impact on her adult daughter and she has the same gripes about work and daydreams of escape as most of us. The investigation she does, with the help of her technically minded colleagues, is within the bounds of possibility and the gang do at least involve police when they learn something serious which is a rare thing in these sorts of thrillers. I rather liked the setting of this book too. There’s the geography: we spend time in both Sydney and Melbourne and both are recognisable, as is the friendly rivalry between the two places. But there is also the environment of Elly’s work, a small company doing one of those unseen jobs that most people don’t know exist but which many of us benefit from every day. People in fiction often seem to have much more windswept and interesting jobs than exist in real life and it’s nice to see some version of normality being displayed quite deftly. NO SAFE PLACE is an easy but not simplistic read and is a really solid first outing from an author I’ll have on my radar from now on. The suspense was well maintained and the plot hangs together pretty well, with only a couple of minor points warranting a half-raised eyebrow. A thoroughly enjoyable read. 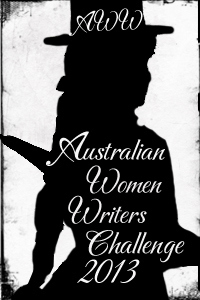 No Safe Place is the 12th book I’ve read and 10th I’ve reviewed for the Australian Women Writers Challenge 2013.